Are you in search of free, user-friendly photo editing tools? Are you using images in your blog posts? What kind of pictures are you sharing on your social media profile? In an online business a picture may be the only reason someone clicks on your link, or reads your article. However, a lot of the amazing business owners I know are working with limited budgets. Hiring a full-time illustrator is not something they can afford. Plus, they shy away at the thought of having to work with complicated software such as Adobe Photoshop or Adobe Illustrator. I totally get that. If you are like most of these business owners, I’m sure you totally get that too. This is why I put together a thorough list of the best photo editing tools. Most of them are free, and the ones which aren’t are worth every penny. PicMonkey has a free option with lots of frames and font types to choose from. As long as you have a photo ready to be edited, you can crop it, resize it, add frames, text or special effects. Plus, you can also create great banners for your social media profiles. Bubbl.us is not really a photo editing tool, but I included it here and you’ll soon see why. I know you are a brainy person, and very organised when it comes to your business, right? So whenever you want to work on a new project, the first thing you do is you brainstorm everything. As the name suggests Paint.NET is a photo editing software. Although its Home page is not impressive, you can download the software and have a try; you might be surprised. The software only works with Windows, so if you’re a Mac user just skip to the next tool. Bitstrips is increasingly popular among Facebook users, and it’s easy to see why. What could be more fun than creating crazy scenarios where you and your friends are the main cartooned characters? The tool can be successfully used on social media profiles to share something funny with your audience. You can easily create a bitstrip for those status updates that don’t have an image yet. I recommend PhotoFunia for those situations when you need a mock-up. It also has great sketch effects, museum–like mock–ups and a lot of other interesting backgrounds. Canva is that kind of tool that allows even a novice to become a designer. You have a variety of backgrounds, text fonts and layouts that you can play with to obtain great visual effects. But as great as Canva is, you have to pay for it. You can use it for free to create your visuals, but when you want to publish your artwork you will be asked to pay. A highly underestimated tool. PowerPoint is amazing, amazing, amazing. I have recently tested it as an image-creating tool and loved to see the variety of things it can do. It was a great experience. You can use PowerPoint’s tools to give life to some brilliant illustrations. When you are happy with the result go to Save As… and choose PNG or JPEG. Fotor is incredibly easy to use. I know some people who are using it to create photo collages of their products. They then post the images on their social media profiles and on their blogs. The visual effects are really great…! I highly recommend it and I suggest you use it on social media… especially if you have an e-commerce. You can easily showcase product details, add your company logo, and so on. The tool also offers some options for editing portrait images AND it can help you create postcards. LiveLuvCreate might strike you as a website for teenagers. But it really is not. It is the perfect match between those quotes you’ve been wanting to post online for so long and a beautiful background to complement them. Personally, I love quotes, and I share them on my profiles as an inspiration for me and the community around Super Savvy Business. With LiveLuvCreate you can share famous quotes with your audience too. Even better, if – let’s say – you are a writer, you can showcase your own quotes using backgrounds from LiveLuvCreate. PicCollage is a killer combo between pictures, text and stickers. It is an app that you can use on your smartphone or iPhone. Download it from the iTunes App Store or from Google Play and keep it on top of your mind when you want to share images while on the move. PicCollage allows you to edit your pics and share them instantly on social media! Comprehensive list of FREE #editing tools for #photos #videos #infographics. PowToon is a tool I stumbled upon a long time ago and I’ve been loving it ever since. You can create personalised video presentations that tell YOUR story. The team at PowToon are doing a great job helping business owners weave stories around their businesses. You are given access to an abundance of characters, cartoons, drawings, sketches… you can record your voice and play it over the video and… ta-daaaa!! You have an amazing opt-in video. Or a video for your latest blog post. Or a video for a webinar. You know, good-looking videos for every situation. PowToon has both a free version and a paid one. Honestly? The end result is rarely what you hoped for. You now need to explain what you want changed, taken out, replaced… quite the headache. Why don’t you create your own infographics instead? For free. Whenever you want to create an infographic Venngage is there to help. You can choose from a multitude of backgrounds and themes, you can add charts, icons and images. It is great if you’ve never done an infographic before because it’s a drag & drop kind of tool. When you’re happy with the result, save. Then publish. Venngage comes with a free version and also with a Premium one. Considering that an infographic usually costs hundreds of dollars, the $19 per month subscription is a bargain price. Easel.ly offers a multitude of themes for infographics, but you can also try to create a new one from scratch. You work on a clear canvas and build your infographic to the tiniest detail. The website is still in beta version, but its success is obvious: almost 400k themes have been created so far. Like the other infographic tools, Infogr.am also allows you to create free interactive infographics. But this one comes with a twist: the world’s first VIDEO infographic creator. How do you like the sound of that? I’m definitely curious and interested! 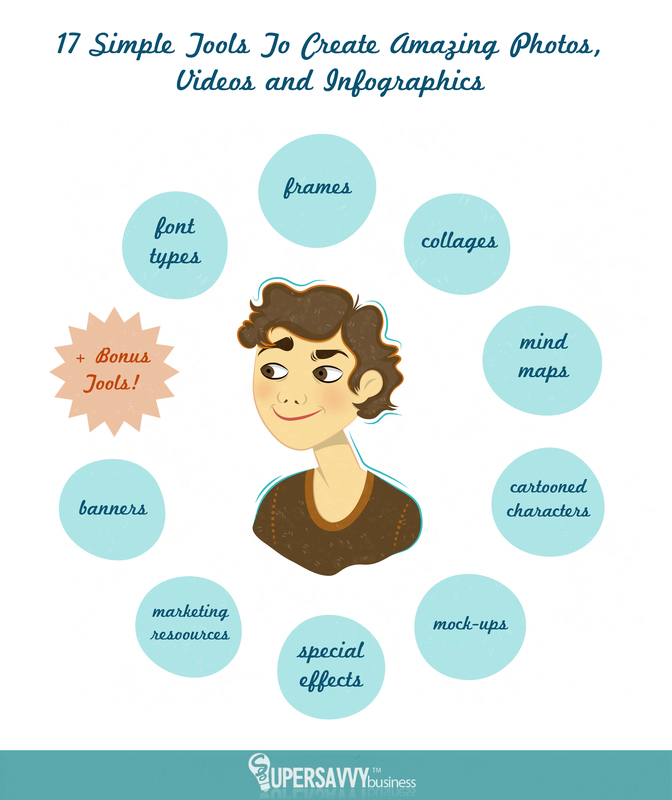 Find out more about video infographics on Infogr.am’s page. Piktochart is another cool tool that I wanted to share with you today. Although it caters more to teachers and professors, it can be used by online business owners as well. It is a paid service but you can create infographics for free by clicking on the “Try for free” button on the top right of the page. Plus, if you are a teacher, you are a lucky person: they offer a free subscription account to those working in education (but the free version has a limited number of themes). They also provide discounts for non-profit organizations. Yes, PowerPoint again… Have I told you what an underutilised tool this is? People use it for presentations and… that’s about it. Yet the potential of PowerPoint is admirable; you can create crazy good-looking images with it and you can also create… infographics. Open a new PowerPoint presentation. Go to Design and click on Page Setup. Edit the width and height of the slide to fit the size of an infographic (which varies depending on the amount of text & images you need). Create your infographic using photos, shapes, charts and the SmartArt feature. When ready, click on File – Save As… – jpeg or png. Hubspot is NOT a photo editing tool and it certainly is not a tool for infographics. But the amount of marketing materials it provides is absolutely mindblowing. 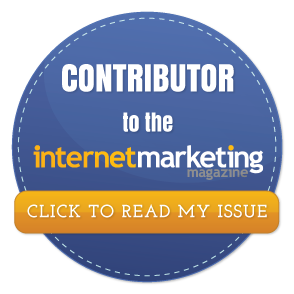 You’ll find here an impressive amount of information, guidelines, advice and great tips for running an online business… and these marketing resources are free! So there you have it: the best photo editing tools that don’t dry your pockets and give your business a professional look on the internet. If you read this article carefully, you discovered more than just some photo editing tools. You now know how to create your opt-in video on a budget, and you also discovered an unquenched resource of marketing materials. Do you use images in your social media marketing? How much are you paying for your images? What is your favourite photo editing tool from the ones I mentioned above? Are you using any other tools that you might want to recommend? This is great Fiona. Thank you! I’ll be taking a look at LivLuvCreate and Powtoon today. I’m overwhelmed with great ideas, thanks for sharing this, now just need to find time to practice with a few of them.